Yesterday I had lunch with my dad at one of my favorite places in the Tampa Bay area – Mazzaro’s Italian Market. If you haven’t been, you need to go immediately because it has some of the best food you’ll ever have. I’ve never eaten anything there I haven’t loved. Not only do they have food to order at the deli and bakery counters, but you can also shop for gourmet cheeses, wines, coffees, olive oils, and other Italian groceries. I’ve been there about a dozen times, but today was the busiest I’ve ever seen it. When you go to order, you need to take a number because there are crowds of people waiting at the deli counter and it’s crazy! I ordered the Italian Panini and my dad ordered the Muffaletta. While we were waiting for our food to be made, we went to the bakery counter and ordered some sweets. My dad also got a variety of different biscotti cookies to go since my mom loves them. I always get the chocolate chip cannoli – it is handmade and authentic as if you bought it in Italy. 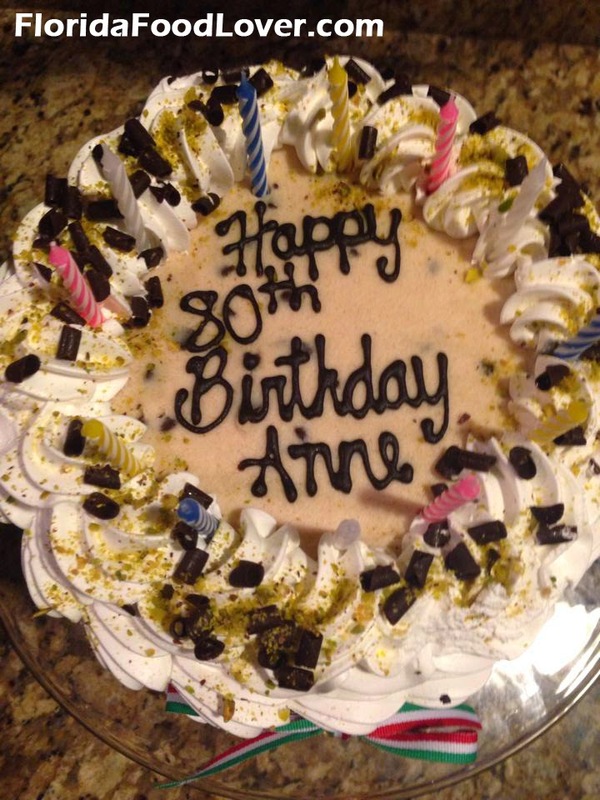 For my Grandma Anne’s 80th birthday this past year we actually got her a cannoli cake from Mazzaro’s! We ate our lunch out on their patio and cooled down with some Sprecher’s cream sodas. I’m not normally a soda drinker but these are amazing. My dad brings them home sometimes and enjoys them in a frosty mug. The sandwiches were huge – we each only ate half and brought leftovers home. After we enjoyed our lunch we took a walk around the rest of the market to browse. It’s best to do this after eating because if you’re hungry you’ll want to buy everything! They have fancy meats and cheeses, salami, and freshly made pasta available to take home. There is a separate section completely dedicated to wines and cheeses with a vast selection (and samples!) The knowledgeable and friendly guys from Masciarelli Wine Company gave us samples of a Montepulciano red wine – made from grapes from Abruzzo, Italy. There are many unique wines you would never find at your normal liquor store. When walking to the car on our way out, we noticed a sign next door that said “Now Open – Casa di Mazzaro”. Although it has been open since last September, we had never been there before. 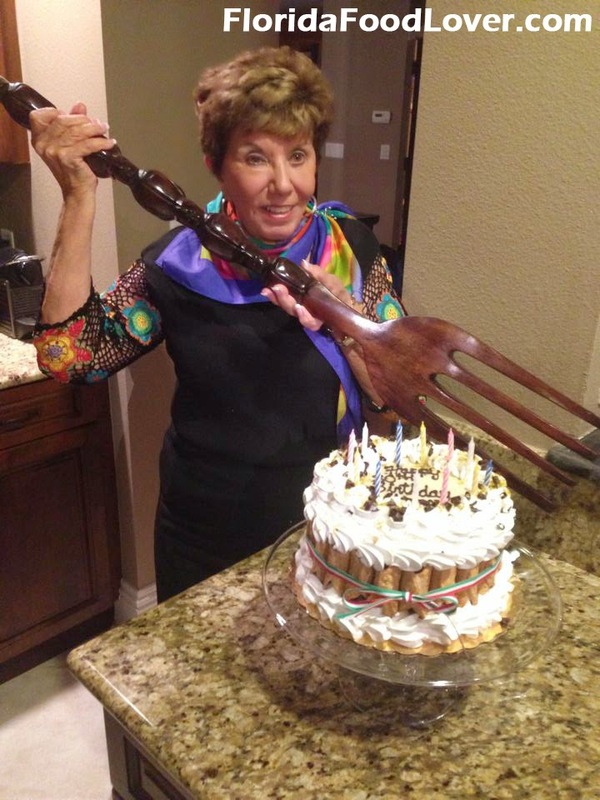 Casa di Mazzaro is a shop with all sorts of cooking gadgets, serving dishes, high-end cookware, and cookbooks. If I had more kitchen storage I’d want to take a shopping spree here! With this addition, Mazzaro’s really is the perfect foodie destination. I think it should be on a must-see list for everyone who lives in or visits Tampa Bay. Mazzaro’s is located at 2909 22nd Avenue N, Saint Petersburg, FL 33713 and is open from 9am – 6pm Monday through Friday, 9am – 2:30pm on Saturdays, and closed on Sundays.